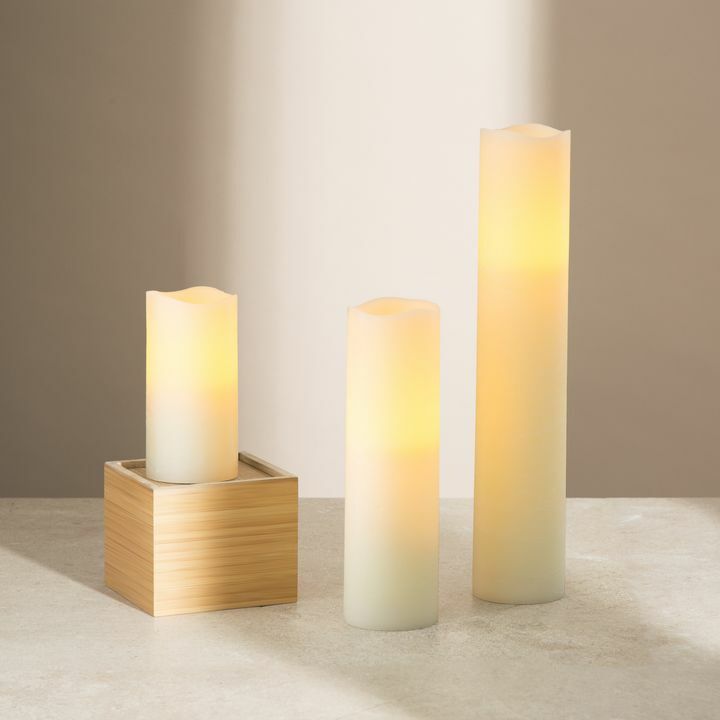 There are only 152 available of the Touchstone Ivory Melted-Edge Flameless Pillar Candles, Set of 3. Your selected quantity has been adjusted. 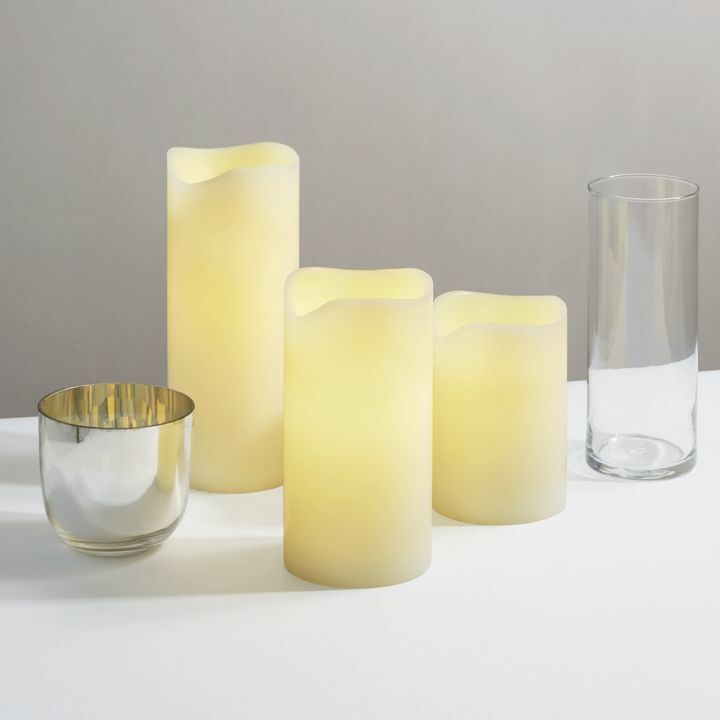 This set of flameless ivory, wax pillar candles have a life-like melted edge and a natural, faux flicker that will provide worry-free illumination to your mantle or centerpieces. 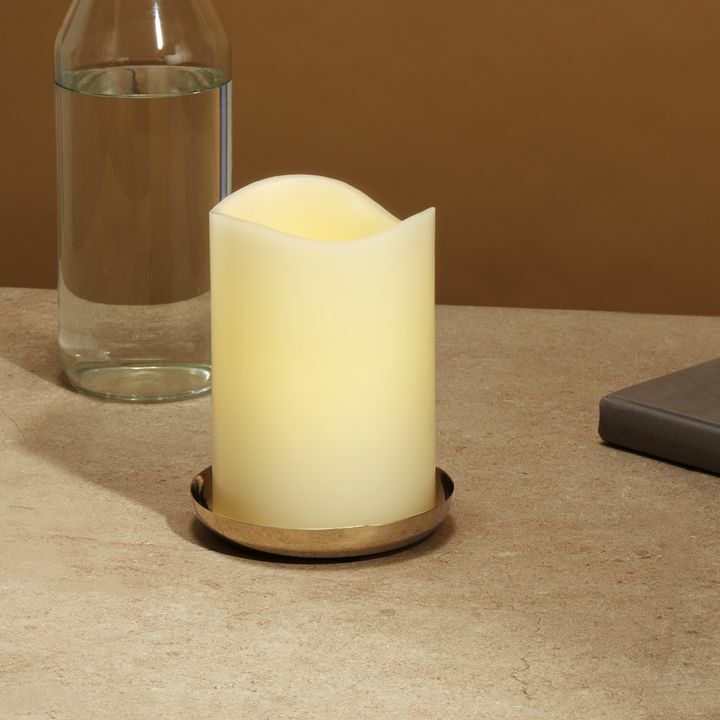 The Touchstone candle series features candles that are enhanced with two LED lights, one atop and one on bottom, to provide a robust, natural glow throughout. Perfect for home, weddings, churches, restaurants, and events. 1 - 4" x 4" x 10"
1 - 4" x 4" x 6"
1 - 4" x 4" x 8"
Great value and quality. My go to source! 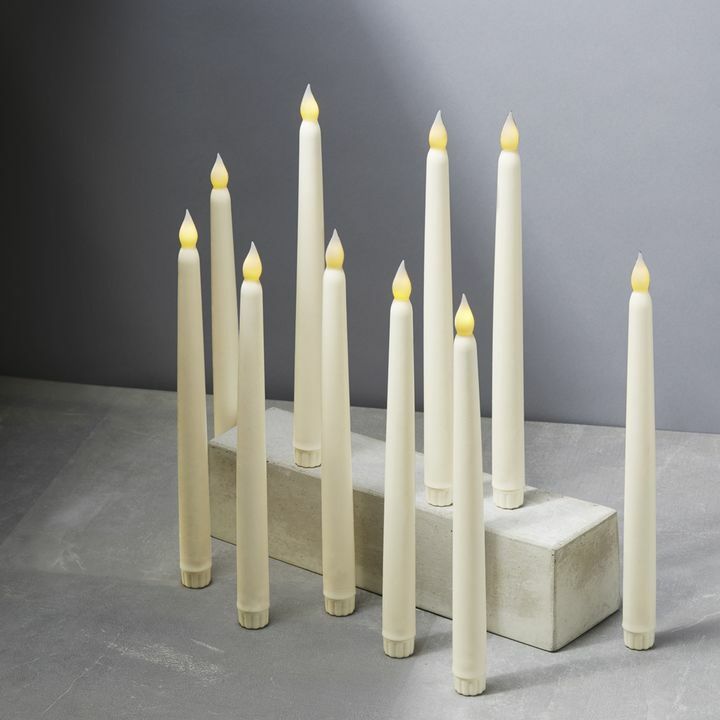 I bought 16 candles for my windows and 3 pillar candles for a set of Pottery Barn lanterns that are on my front porch. 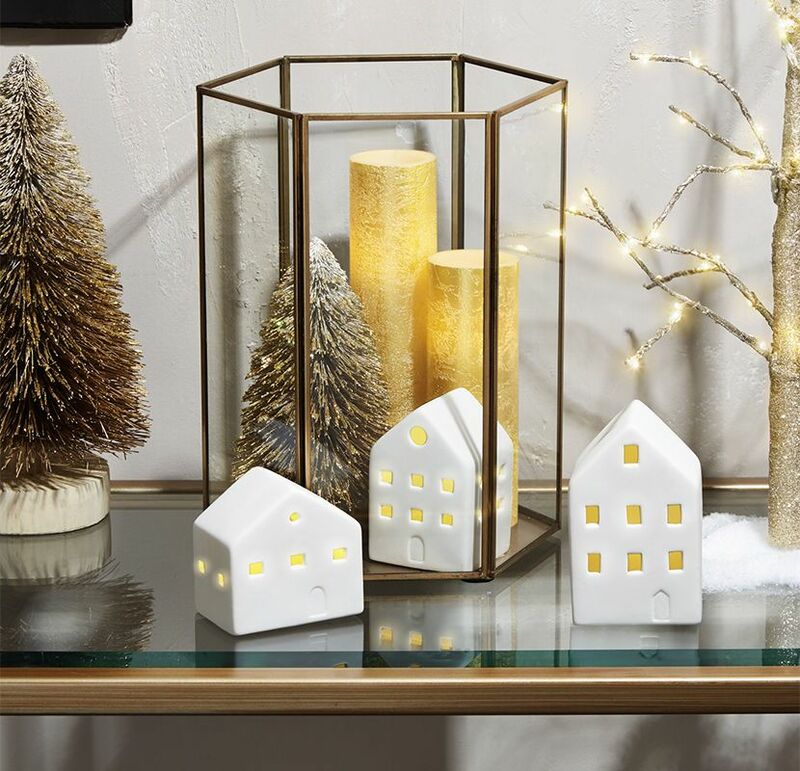 They are all beautiful and perfect for the holidays. They all came with batteries. Will order from Lights.com again. 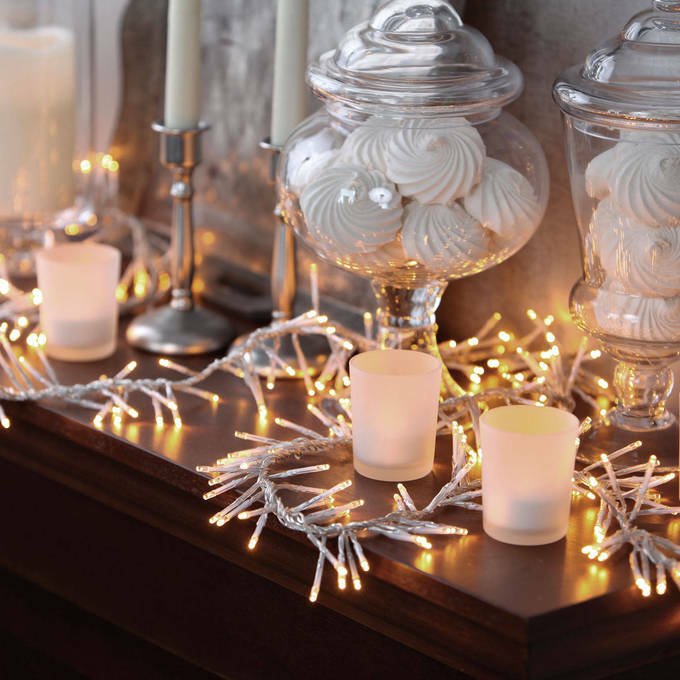 I use these lights in my 2 story bookcases on each side of the fireplace. They add a great amount of softness and comfort. Add the remote feature or the timed feature and it's an easy decoration. 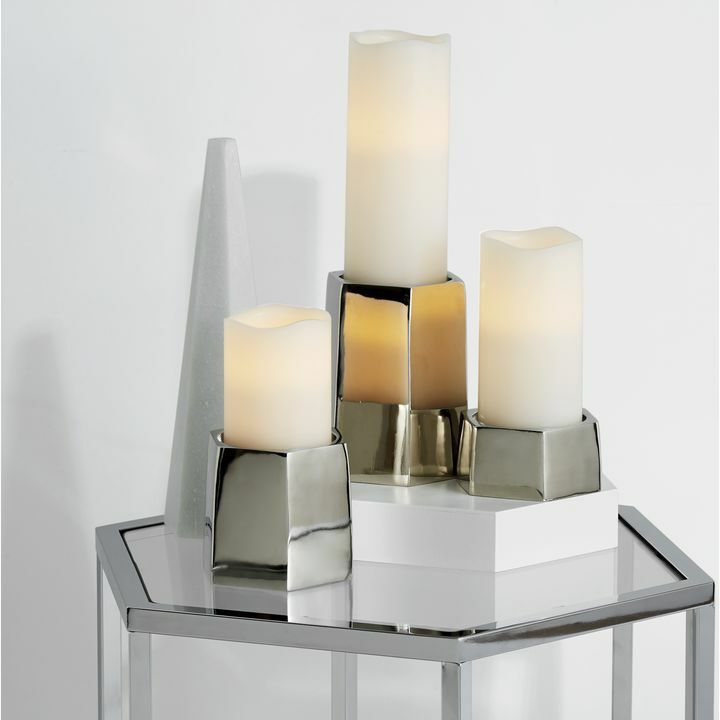 Also use in our dining room on the table and in each of the windows. Makes everything look and feel cozy and relaxing. great products, love it with the remote control!!! Ordered this set to put in my fireplace over the summer. Curvy tops look great, and I love that the LED flame can flicker or be steady. Remote control is awesome. Didnt think IвЂ™d use it but I use it all the time. Excellent quality! Very pleased with operation. I got my purchase fast and a replacement quickly. I did not even have to send back anything. Thank you. 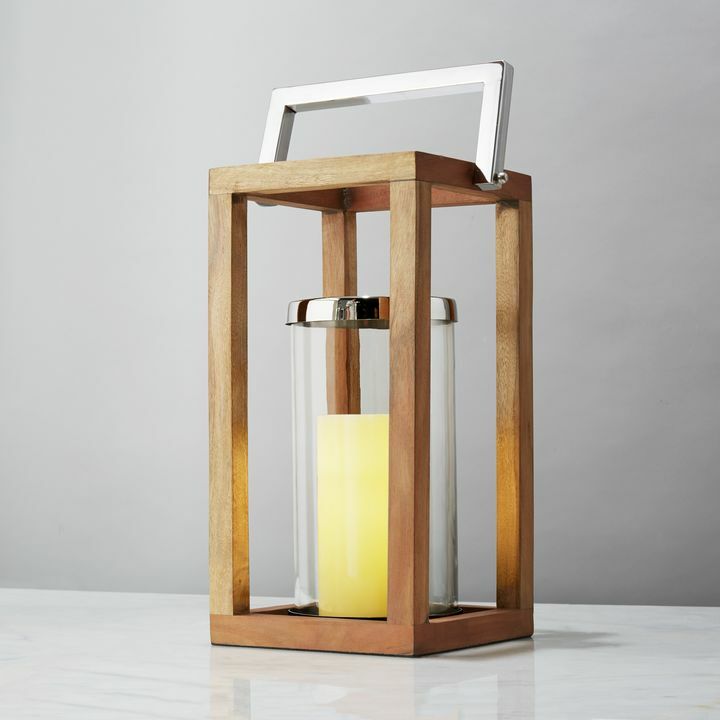 I have made several purchases from Lights.com recently to include frameless candles with timers and mason jar firefly twinkle lights. Everything I have received has arrived quickly and are absolutely beautiful. Cannot recommend Lights.com enough. Wonderful experience all around. 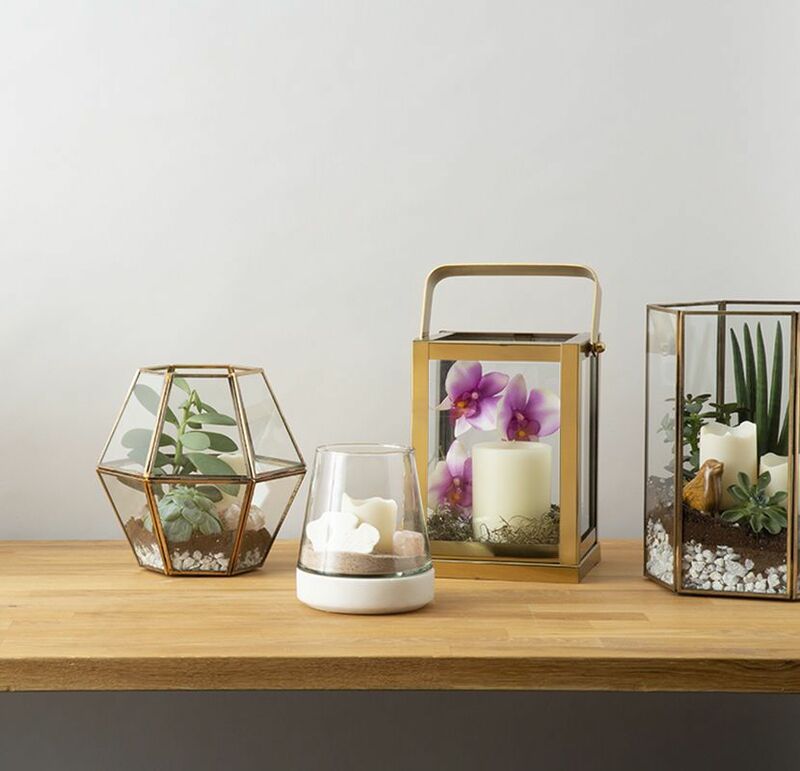 I put these in lanterns on my dining room table and they look great. I am very happy with them and would definitely buy them again. The candles all arrived in perfect condition for our daughter's wedding. The packing was fantastic! Thanks for the care put into helping your product arrive safely. 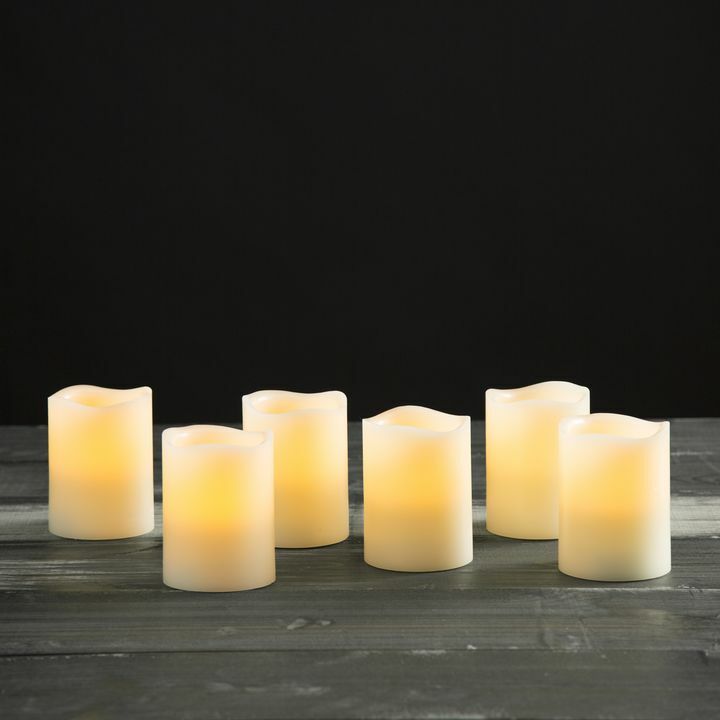 These are better than expected, perfect for the 4" in diameter glass candle sticks my daughter purchased from a popular home goods store, these flicker too and we love them on our table scape. They will come in handy when the electricity rolls out too. My candles are not working properly. They flicker erratically with a very annoying blink to them. They seem defective. They were not this way at first, but have been lately. Please help. My daughter accidentally lost the remote to the candles. How do I get a replacement remote? If a remote needs to be purchased, please contact customer service at 866.490.9358. How do i use burtons on remote? Like to go from flicker to solod state? What do brightness buttons mean? 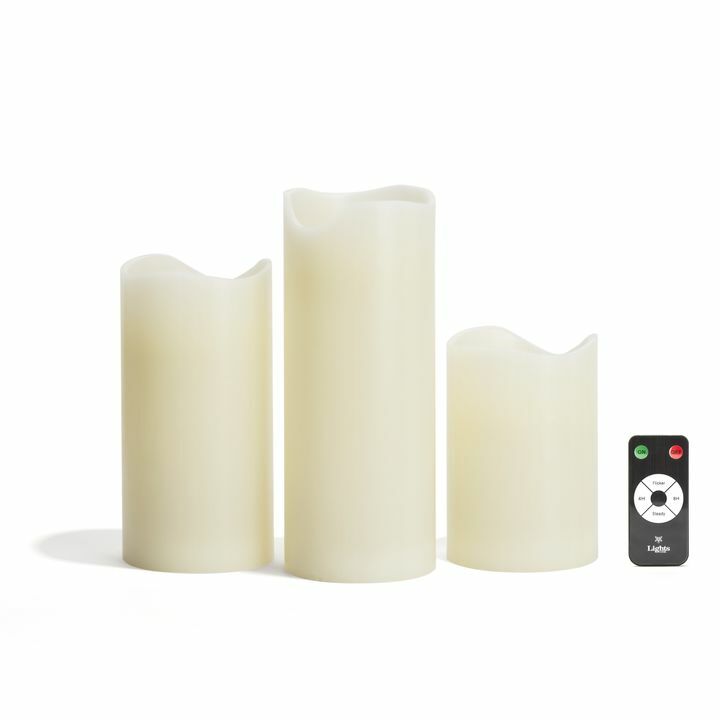 The remote for the Touchstone Ivory Melted-Edge Flameless Pillar Candles, Set of 3 is relatively easy. If you want the candles on flicker mode you press the flicker button. 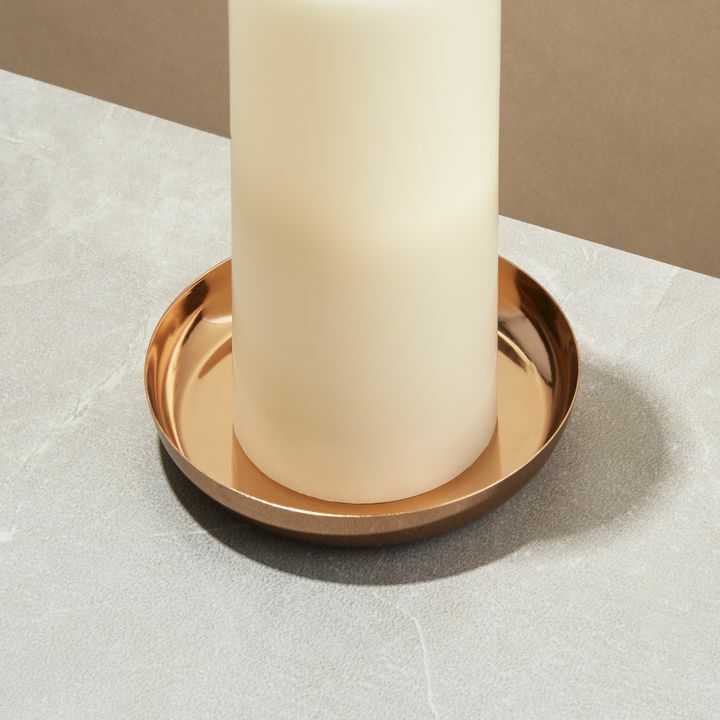 The brightness button adjusts the brightness of the candles. 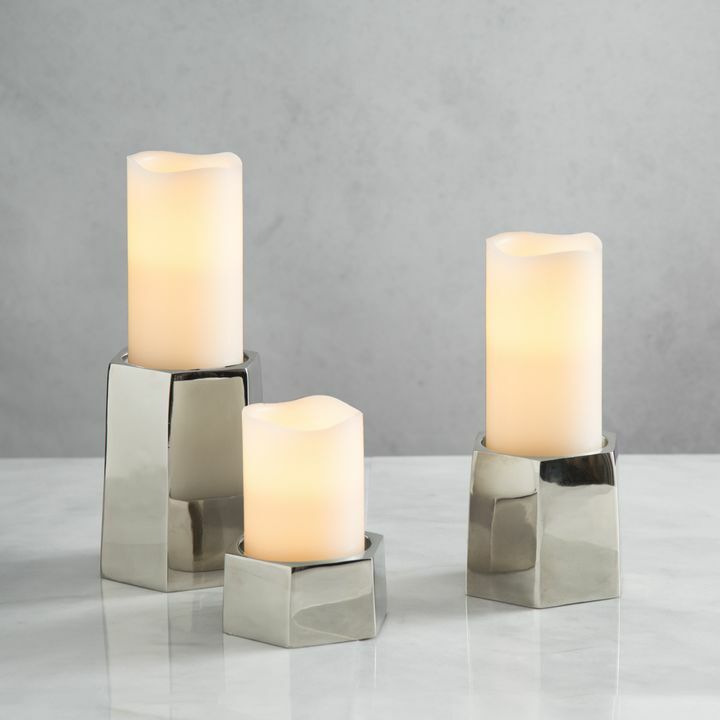 How long will these candles last an a set of batteries? These candles use C batteries which last about 500 hours. can these be outside in direct sunlight? 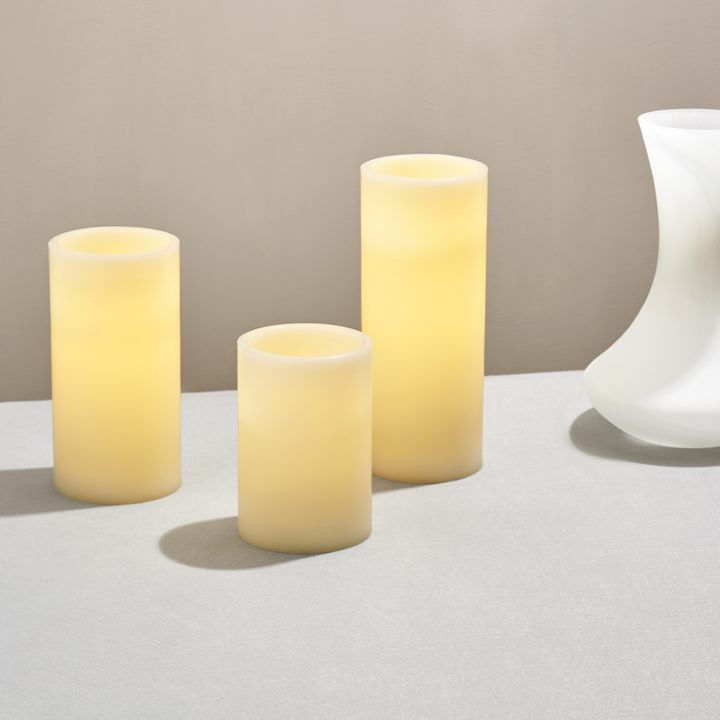 These are made with real wax, so we don't recommend putting them anywhere that they would be exposed to a lot of heat. Like any wax, they can and will melt. 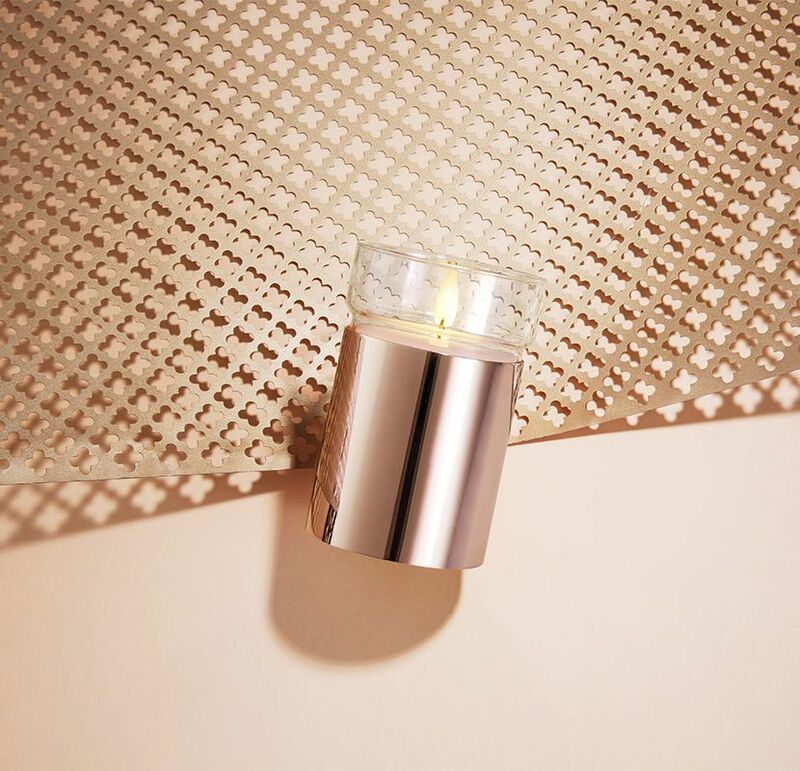 Get inspired and shop the newest lighting and decor. 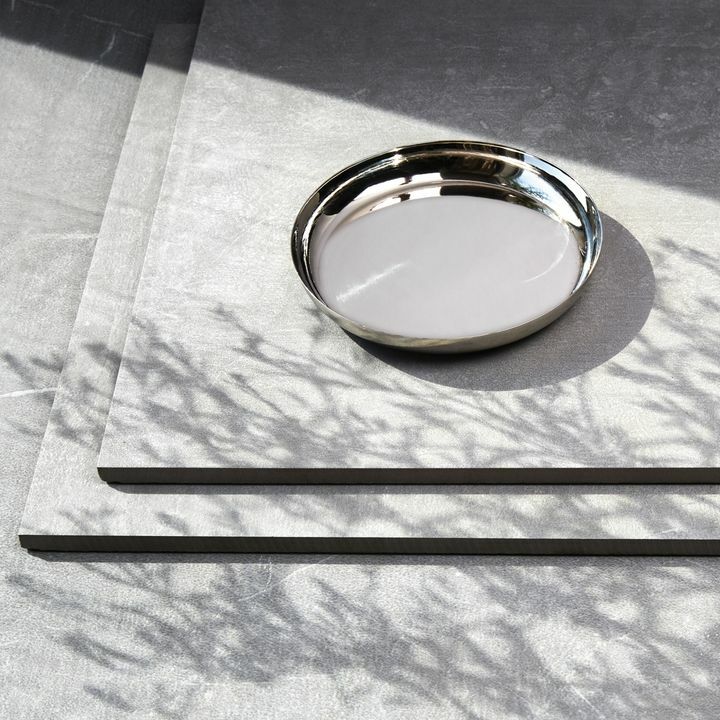 We curated the best collections of products to make it easy for you.